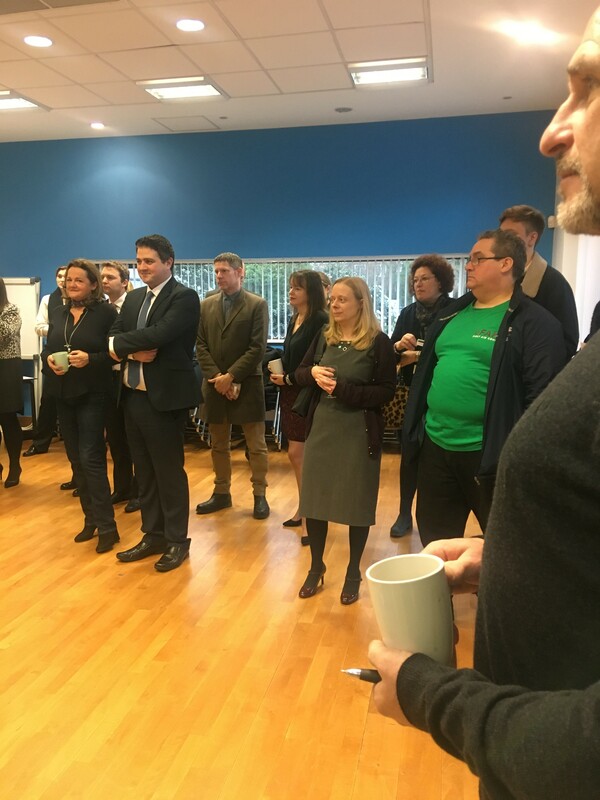 We kicked off our Swanley networking for 2019 at The Howard Venue in Hextable on the 16th January. We had a great turnout of members and a number of new faces who were welcomed by our regular Swanley networking group. Petrina and her team at the Howard Venue hosted the event, and conducted tours of this versatile events space that is suitable for business and recreational use. As always we offered our business card raffle and all proceeds from the raffle will go to our charity of the year and Chamber members are currently being asked to complete a survey to help us choose three charities to support at our events. To take part in the survey please click HERE. Joanne Brown from Sargeant Partnership was the winner of the Charity raffle. Congratulations Joanne! Our next Swanley networking meeting will be on the 20th March. Keep an eye on our website to find out more about our activities in Swanley, Westerham and Sevenoaks. To find out more about hosting in Swanley or if you are interested in joining us at one of our meetings please get in touch. If you would like to discuss hiring the Howard Venue please contact Petrina Stockburn at petrina@thehowardvenue.co.uk.